As the kickoff to the NSNorth 2016 developers’ conference in Toronto on April 28 inches near, the Perfect team is becoming increasingly excited. We’re proud to be a Silver Sponsor of this three-day event that will explore a broad range of topics about building apps for the iOS, watchOS, tvOS, and OS X platforms. The NSNorth team set up a Slack channel, and already there are fun conversations as registered participants sound off. Not only is this helping attendees meet in advance, but it’s also stirring excitement and enthusiasm for the conference. Fantastic speakers. The lineup of speakers at the conference are bringing their experiences and knowledge to share with all. I've had the pleasure to hear some of them speak publicly at the try! Swift conference in Japan last month, such as Ayaka Nonaka and Gwen Weston from San Francisco. In Tokyo, Gwen talked about “type erase” (what's a type, what it means to erase a type, why you'd want to do it), a complicated subject she successfully presented in simple terms. Ayaka, meanwhile, talked about how to apply boundaries in practice, and she did so while alternating between English and Japanese (crazy!). Frankly, the topics of all of the speakers look equally compelling. A growing community. 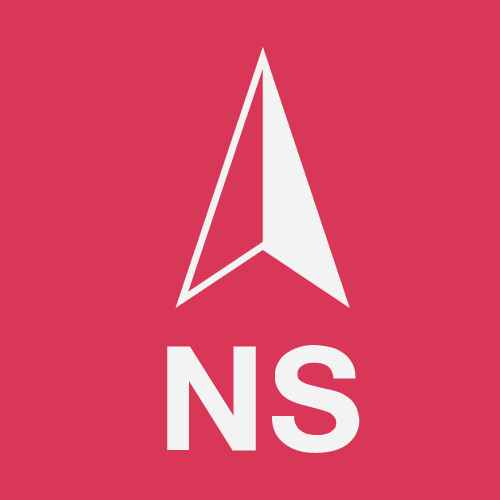 NSNorth will be a lightning rod that brings together OS X developers, iOS developers, Swift developers, and server-side Swift developers. Each group has their unique passions, but NSNorth gives them all a reason to connect at and after the conference. Many new relationships will be born and continue to evolve in local meetups such as NSCoder, Swift Hack Night, Server-Side Swift, and HackerNest. A wide range of topics. Before the main conference begins at 5 p.m. on April 28, there will be concurrent sessions including a technical workshop (more on that later) and the Community Kickoff. The Kickoff features some talks that look intriguing to me, not only because I enjoy hearing new perspectives, but because the topics are decidedly not technical in focus. For example, Melissa Nightingale’s talk, "The Higher the Fewer – Diversity in Senior Leadership", Kirsten Hunter’s "Telling Your Story – Speaking for Non-Speakers", and Leonard Cervantes’s presentation on "Storytelling for Techies: The Hero's Journey and You". I'm particularly curious to hear where Matthew Garden goes with, "My Product Owner Is in Grade Three”. This set of topics is more inclusive for those who might not be as advanced in their programming skills, and they’ll help all participants evolve their leadership and soft skills. In-depth technical workshops. At the sold-out pre-conference workshop, Daniel Steinberg will present a talk entitled, "Thinking in Swift". In the workshop, he'll cover a ton of ground including thinking functionally, structs and enums, guard, if-let, where, errors, and optionals, rethinking names, and more. When I heard him speak at try! Swift, he did a great job of explaining a complicated topic in simple terms. With Daniel's knowledge of the subject matter and his speaking style, this will be a very engaging and educational workshop. Diversity and inclusion. The NSNorth team generously made a select number of conference tickets available to give to those who otherwise don’t have the means to pay to attend. That makes me very proud to support this independent Canadian iOS and Swift developers’ conference, and it exemplifies the spirit of support that I saw at try! Swift in Japan last March. Whether you’re attending the conference or not, follow the action on Twitter, and look for the @PerfectlySoft team tweets to see what we’re seeing. I hope to meet you there! Lucas is PerfectlySoft’s Community Manager. Contact him directly by email, Twitter, or LinkedIn.